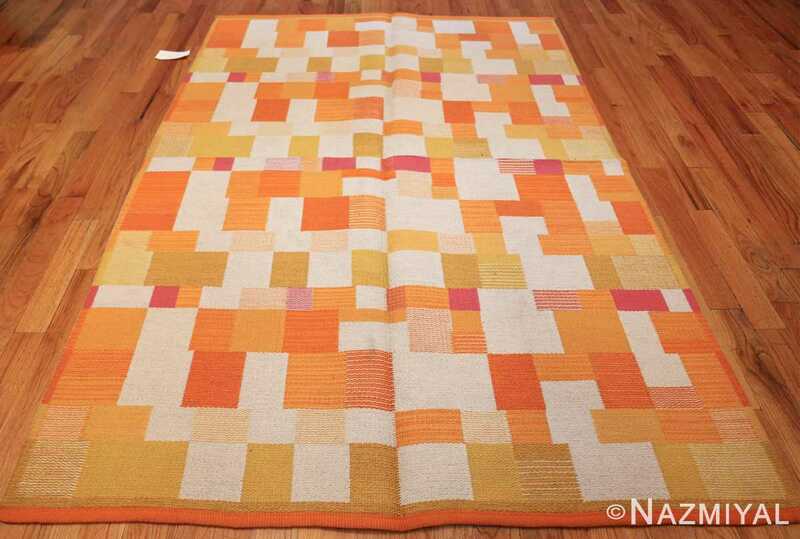 Vintage Scandinavian Swedish Rug, Country of Origin: Scandinavia, Circa Date: 20th Century– This vintage Swedish rug features a double-sided pattern, each side seemingly identical but impossible to overlay in truth. 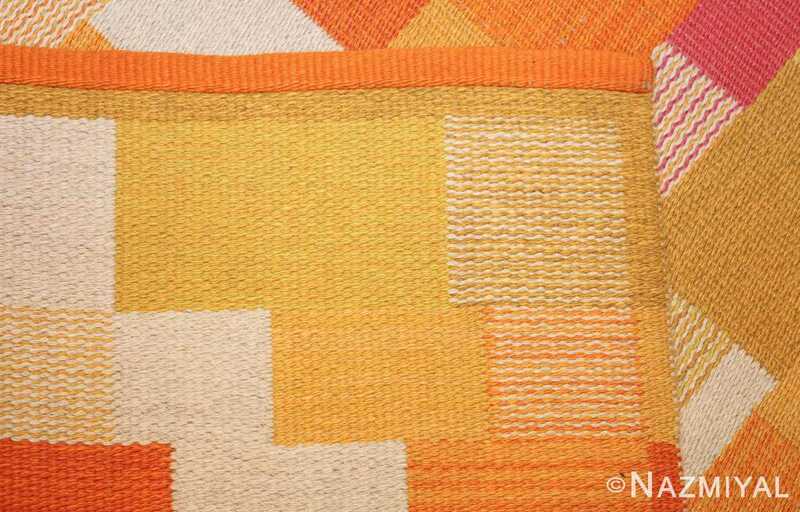 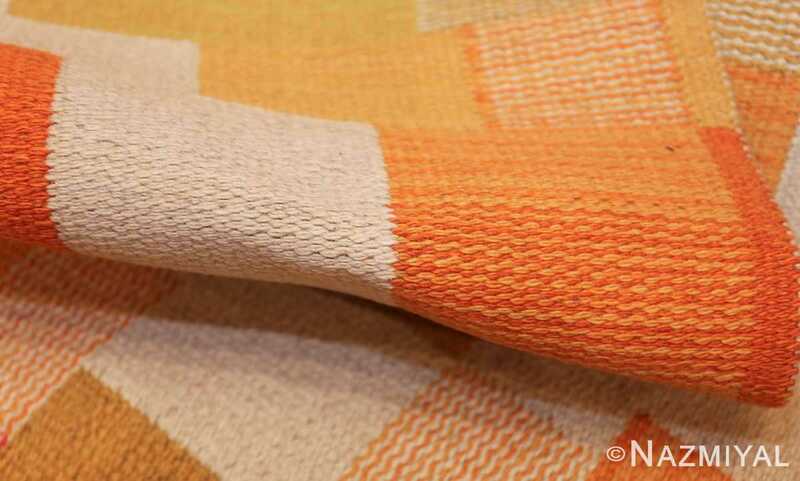 A delightfully warm array of squares and rectangles appears initially as a jumbled array design. 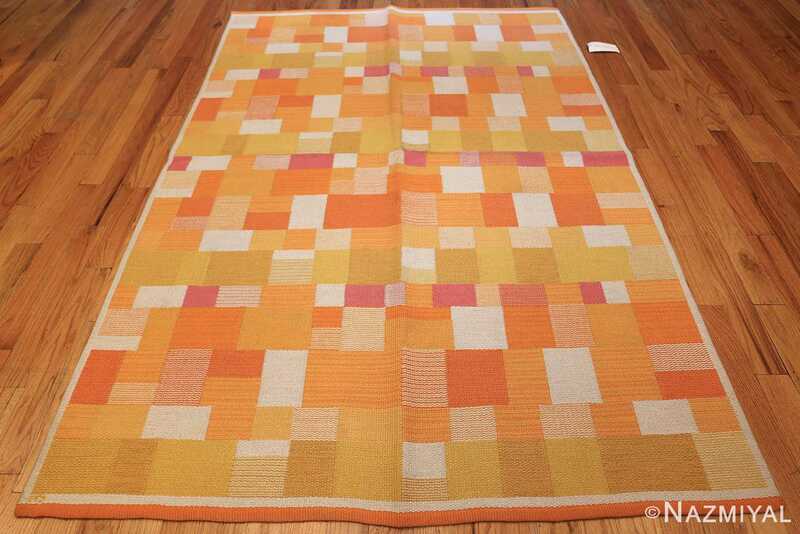 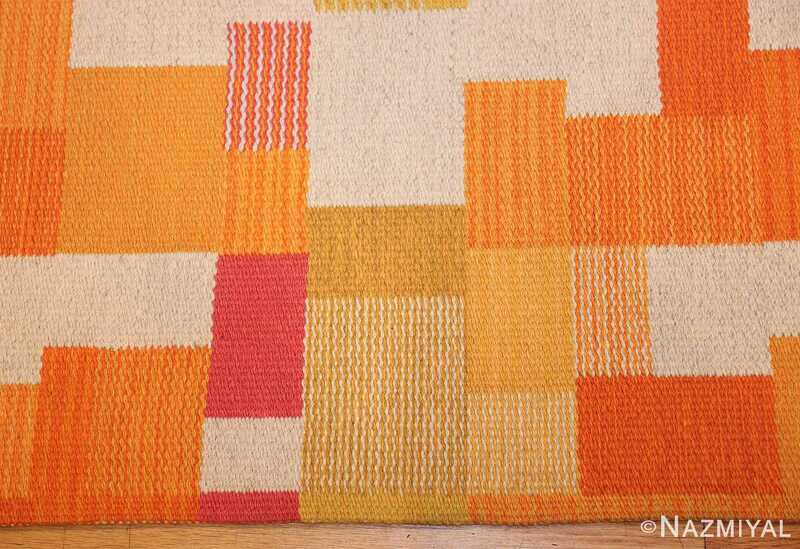 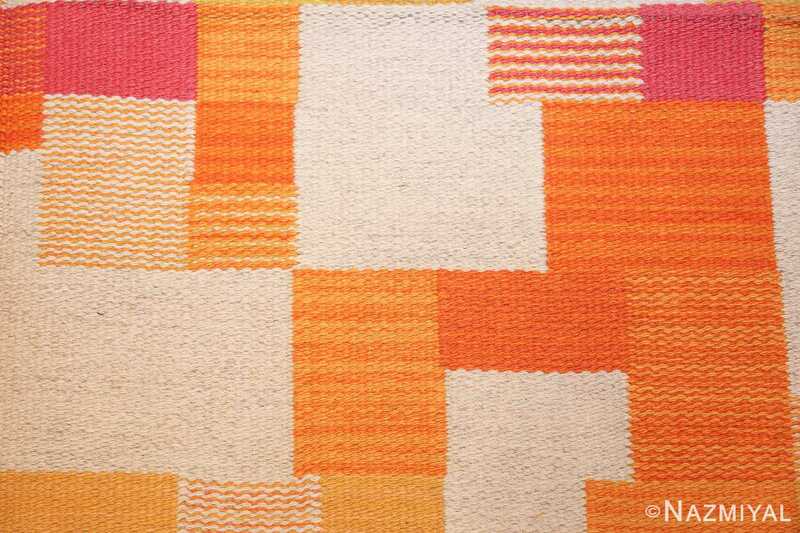 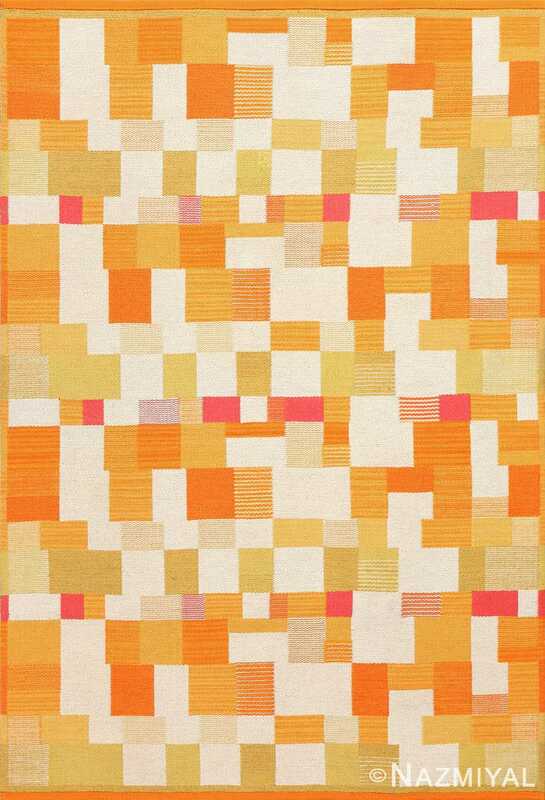 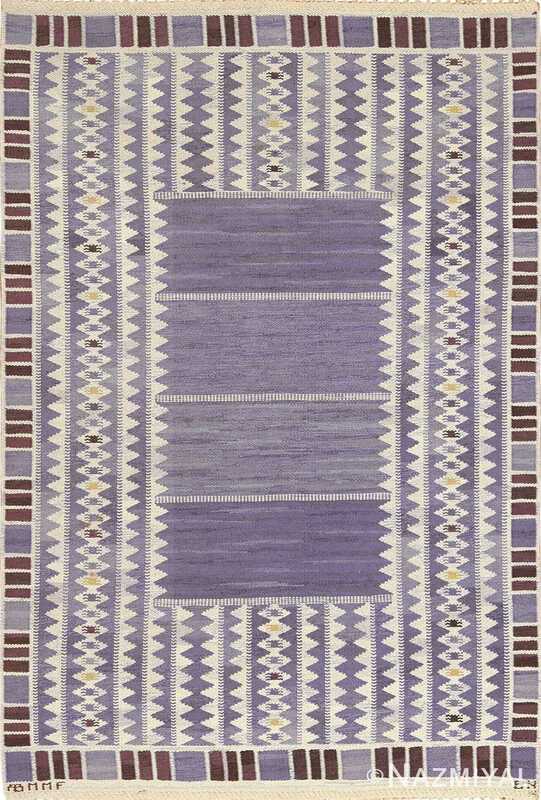 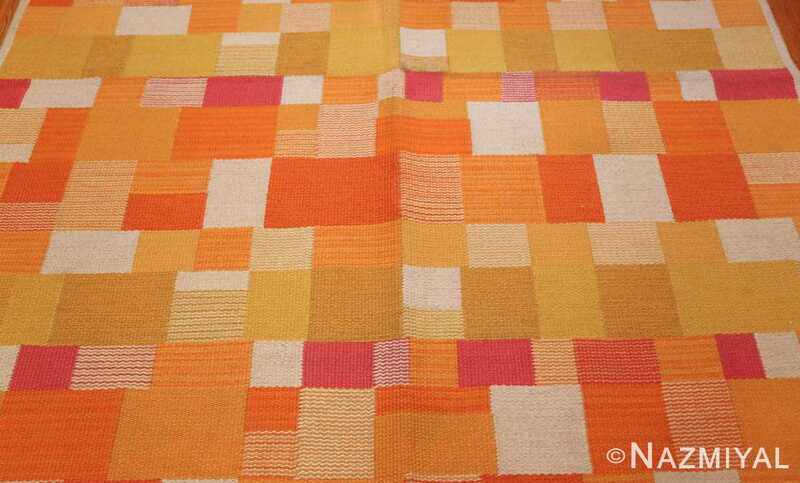 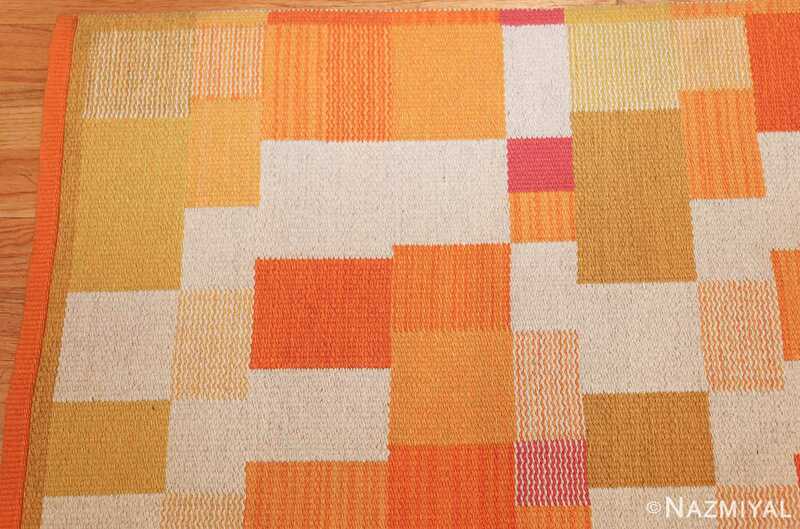 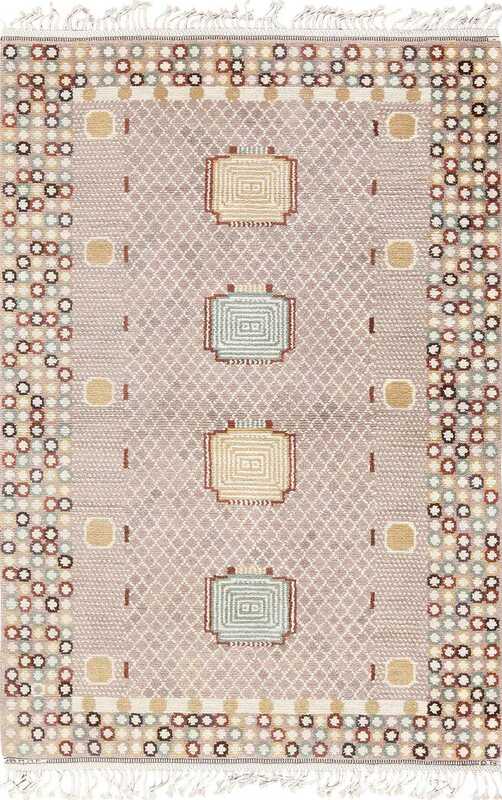 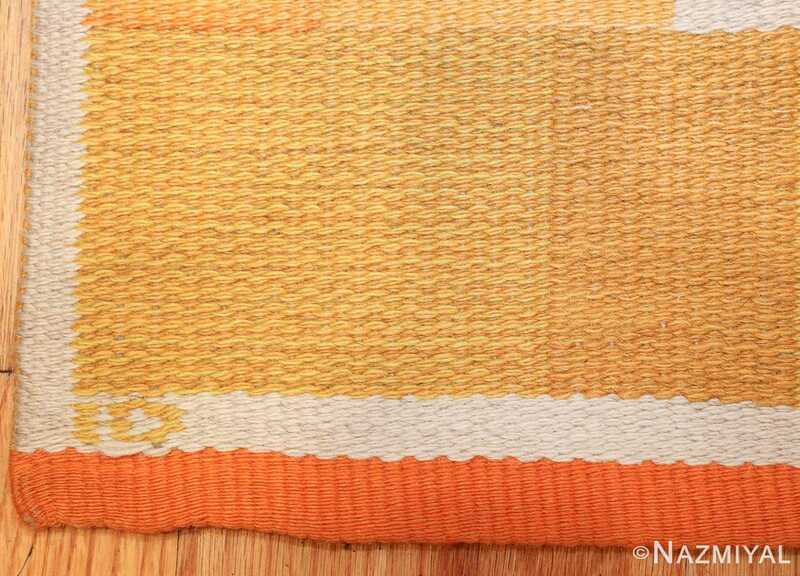 However, the figures on this vintage rug align to form stripes of white, yellow, red, pink and several orange tones. 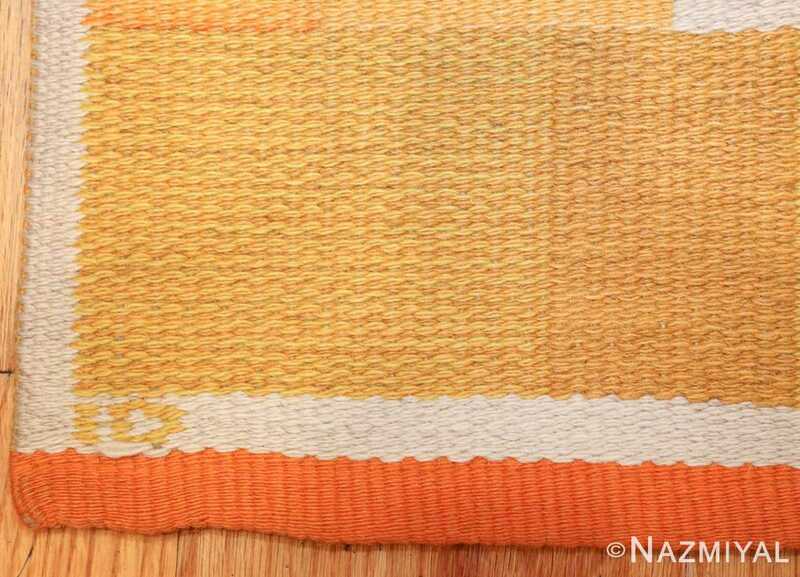 One side showcases a higher frequency of white, giving it a lighter cast overall. 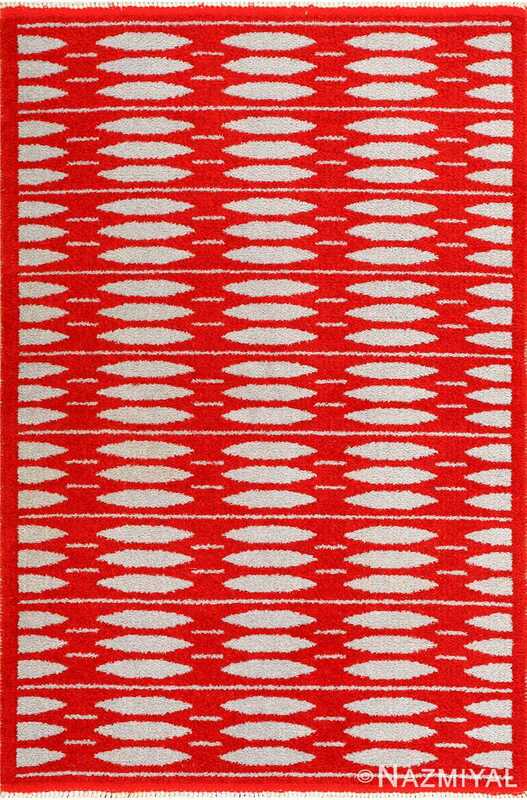 The reds, which verge on salmon pink, are all arranged within three evenly spaced thin stripes, similar over both faces. 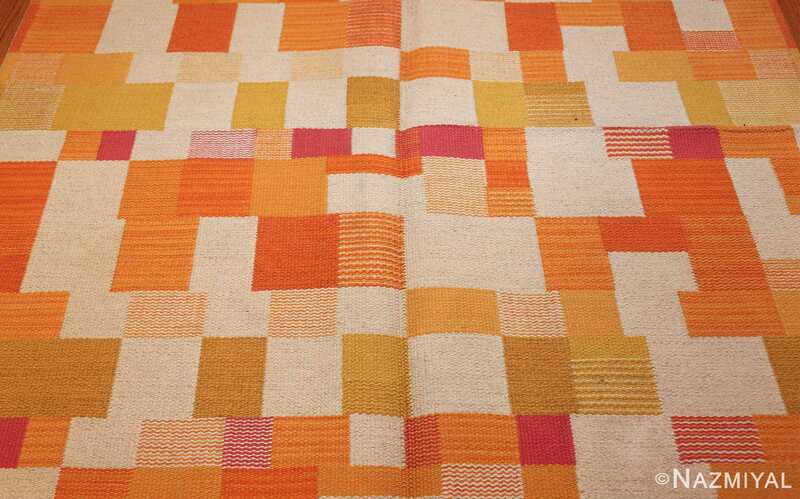 Thin borders enclose the body, made up of more oranges and yellows, anchoring the apparent jumble on either side.